Direct mailing service remains the most unique form of marketing because it not only targets your mailing list, but it is the most personalized and professional way to market your services and products. 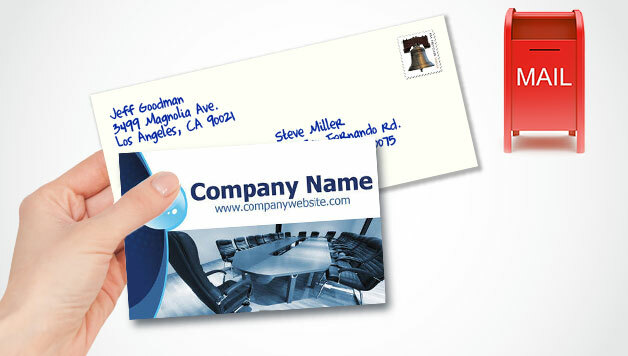 While some companies spend upwards of hundreds of thousands dollars a year using other forms of advertising, many companies see the value of increasing their revenues with personalized direct mail marketing services because of the personal touch and repeat business they get. Mass media marketing is used by businesses everywhere in the form of telemarketing, television, radio, and internet marketing; however, the ability to target a specific audience is hard to do with these mediums. The direct mailing service approach allows for your company to send personalized letters or other type of mail directly to the home of the recipients or their place of business, which is typically very well received by your mailing list recipients. Personalized letters, postcards, flyers, and brochures are all used in direct mailing service to sell a wide array of products and services. They triumph over other mass media advertising methods because you know your audience will have your message or ad right in front of them versus crossing your fingers that they will see or hear your advertisement on the radio, web, or television. Even email marketing is not as effective because the greater part of recipients delete the message without even clicking it or worse, they don't even see it because it lands in their spam folder. While it is true that the United States Postal Service has lost revenues in the billions of dollars over recent years to electronic communication, they are not losing out in the long run. Between phishing attacks, hacking schemes, various scams, and identity theft the record high problems in criminal activity among electronic media has caused the advertising methods to lose some credibility and raise suspicion among recipients. Emails, electronic ads, and even telemarketing have a much lower success rate because so many people are hesitant about taking the risk of clicking a link or giving info over the telephone due to the high amount of criminal activity and fraud. Personalized direct mail service is the sure way to get your message or advertisement to your audience without the negativity or risk that is associated with other forms of marketing. It is not just risk that has impacted the mass media marketing methods. Netflix, TIVO, Hulu and other streaming services have lowered the effectiveness and exposure companies used to get from television advertising. Podcasts, online videos, and online radio services have equally lowered the impact of radio advertising. In addition to all of these factors is the simple fact that TV and radio advertisements are expensive and usually cost more than most small to medium size companies can afford to include in marketing budgets. If your business is looking for an affordable way to target specific audiences, then direct mailing service is the way to go. It doesn't matter whether you are working with a limited marketing budget or have a large budget, you will find that direct mailing services is one of the most effective and valuable forms of advertising. Contact us today about how we can help you increase your sales and customers with our professional, personalized direct mailing service.